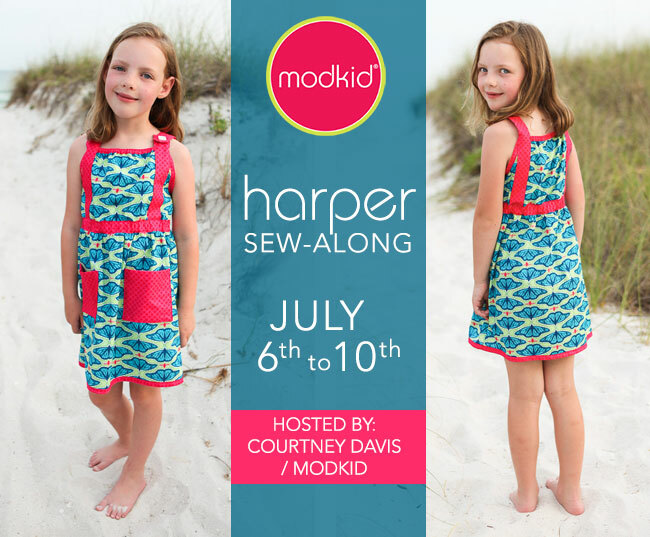 It's Harper Sew-Along time!! We hope you've decide to join the fun! Let's get started! Print the instruction pages on two sides (front and back). For the Harper pattern, these are pages 2-6. I like to save ink by not printing the pretty cover and inspiration pages (1, 7), but that’s up to you. You may even choose to not print the instruction at all and have your digital copy handy while you sew. Print the pattern page (8) on a single side only. Make sure your scaling is set to “none”. And shout for joy that there is only one page and NO taping!!! Cut the pattern piece to your desired size. Cut the fabric pattern pieces according to Page 3 of the pattern. Transfer the strap placement marks on the front and back bodice. I like to fold back the pattern along the correct line and trace. I decided to change up the schedule slightly. Since you already have your cutting tools out, go ahead and prepare your bias tape per the instructions on page 6. You'll be glad you have this out of the way! We’d love to see your progress!! Show us your photos in our Facebook group. You can also share photos on Facebook and Instagram tagged #harpersewalong.